The Dar Aulex chrome 1 light dimpled smoked glass pendant is modern and stylish. 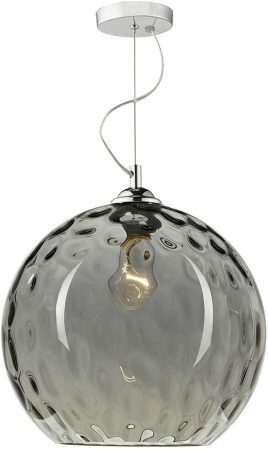 Polished chrome ceiling mount, adjustable wire suspension and 30cm dimpled smoked glass globe shade. Perfect for a kitchen, breakfast room, hallway or vestibule.